How was the EAT-Lancet Commission funded? The EAT-Lancet Commission report is an independent comprehensive assessment of existing science on health and sustainability. It was independently peer reviewed prior to publication in The Lancet medical journal. It was solely funded through the generous support of the Wellcome Trust, which had no role in the writing of the report. In total, 19 Commissioners led the preparation of this report, supported by 18 co-authors; some of whom are EAT employees. Commissioners received no financial compensation from EAT or Wellcome Trust for their contributions. Commissioners are independent scientists financially supported by their individual institutions. Travel and logistics expenses associated with scientific participation and all costs incurred by EAT, including for staff time, were covered by Wellcome Trust funding. 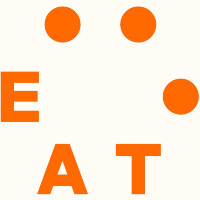 EAT is an independent, non-profit organization based in Oslo, Norway and founded by the Stordalen Foundation, Wellcome Trust and the Stockholm Resilience Centre. All science-related activities of EAT are financed exclusively from non-profit sources.